Since its announcement back in , we’ve brought you several articles about Hellblade: Senua’s Sacrifice. It’s a game for which many of us are quite excited, as it is not only gorgeous, but goes the extra mile to tackle an issue not often touched on in video games: mental illness. 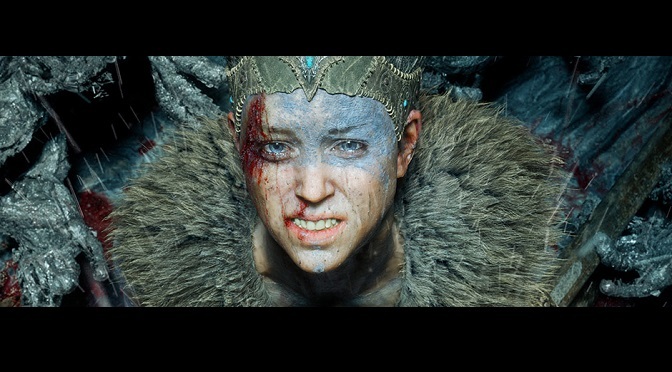 In the game, the main character, Senua, struggles with what could be a form of schizophrenia, as she hears voices and feels tortured by her own mind throughout her struggles. She even made it on to our list of badass women in gaming. Through developer Ninja Theory’s dev diaries, we’ve also been given a look at how this affliction has been brought into the game, and seen the extensive research that the developer has done in order to make Senua’s mental state as true to life as possible. Just yesterday, Ninja Theory released another trailer for Hellblade: Senua’s Sacrifice, this time giving gamers a look at the struggles that Senua faces as she gets ready to battle the demon in her own mind. The trailer is beautifully done, and shows off some of the best motion capture in recent memory, along with stellar voice acting. Ninja Theory really captures a nightmarish mood through their use of lighting, sound design, and fantastic editing. In the trailer, we see Senua about to face off against some sort of gigantic humanoid creature, while trapped in a foggy and dark rainstorm. As the tension ramps up, we hear the voices in Senua’s head mocking her, and causing her to doubt herself. The whole time, we see the creature in the background come into view, and get a sense of the danger in which Senua finds herself. The voiceover in the trailer alludes to the theory that there’s a possibility that we may be misinterpreting our own reality, and that reality itself is just a manifestation of what our own minds perceive: whether healthy or not. Even though Ninja Theory has had their share of naysayers, they’ve never been a developer who shies away from trying new things. With the release of this trailer, Ninja Theory simultaneously does several things: First, they offer renewed hope to gamers that Hellblade: Senua’s Sacrifice is going to be an amazing game. Second, the trailer (and the game itself) brings more attention to the plight of those who struggle with mental illness. Finally, it offers up some good representation for a group of people who are usually either pitied or tossed aside in our society. What do you think about the newest trailer for Hellblade: Senua’s Sacrifice, dear readers? Are you looking forward to this title? What do you think about Ninja Theory tackling the topic of mental illness? Let us know in the comments below! Hellblade: Senua’s Sacrifice will be available on August 8th, 2017 for PS4 and PC.